Want to book you car rental in Corfu? This is the right place! Search our booking engine for car rental in Corfu and book the best vehicle for your holidays on this fabulous island. Car rental Corfu will give you the chance to discover this island easily and conveniently. Plan your trip in the most convenient way for you and make sure you see all the important sightseeing on the island. Greeka.com offers car rental from Corfu Airport, Corfu port, Corfu center and many other locations. Greeka.com does its best to help you hire a car in Corfu. We cooperate with many Corfu car rental agencies and do our best to propose you the best prices available on the market. We cooperate with both local agencies but also with major car rental companies which have branches in Corfu. A lot of car rental agencies are spread all along Corfu. The Corfu car rental agencies we collaborate with are easy to access. They provide a wide range of conveniences to our clients. It will be possible for a car rental employee to deliver you the car at your hotel, the port or any other place. Furthermore, you can choose to pick up the car from a place of your preference, for example from the port or airport the day arrive. Moreover, they will be pleased to give you instructions on where to go and what to see in the region. They usually provide a map in all cars or you can ask for a GPS (upon request and extra charge). Discover some car rental compagnies in Corfu. This is a car hire company that owns a large fleet of modern cars. Operating at the port of Corfu, this family company offers various types of vehicles such as economy, family, business, off-road and open top. Furthermore, they provide delivery and pick up at the airport or at any hotel on the island. Established more than 15 years ago, Royal Car Rental is a company based on the port of Corfu. It is a car rental company that provides delivery to many villages of Corfu and also offer drop off and pick up 24 hours from Marina Gouvia and Corfu Airport. Their fleet consists of both small economic cars but also of bigger family cars, automatic cars, convertible cars and minibuses. It is a company that operates on the island of Corfu since 1972. Their extensive fleet includes a variety of vehicles, including economy and family cars, but also luxurious cars. All vehicles are recent models. Fair Deals also offers delivery and pickup of vehicles at the airport, or anywhere else in Corfu. Road maps of Corfu are available. GPS is also available by request. It is a car rental company operating for more than 20 years. Its fleet consists of modern cars and several types such as manuals, minibuses and SUV's. 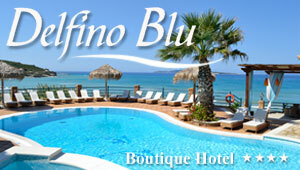 This family-run company has branches in Corfu town, at the airport, on the main port of Corfu and on the Marina Gouvia. Pick ups and drop offs are also possible to any other region of the island. Corfu Sunrise is a company with almost 35 years of experience, based in Corfu Town, near the new port. Their fleet includes automatic and manual cars of many types, such as economy cars, jeeps, minibus and people carriers. The company offers delivery of their vehicles to many places all around the island. Top Cars is a company based near the port of Corfu Town. Their fleet includes well-maintained models of city cars, economy cars, as well as larger family cars. The company offers pick up and delivery services to several locations around the island, including the port and the airport. This is a company operating in many places around the island. The company has offices in Ipsos, Dassia, as well as in the capital of Corfu Town, on the port and at the airport. Their fleet includes both automatic cars and manuals of many types, such as family cars, minibus, and open-top jeeps. This is a large independent company operating in many areas around the island. Their fleet includes new models of economy cars, minivans and family cars, while their staff has over 15 years of experience. The company also offers their pickup and drop off services at many villages, including the port and airport of Corfu. This is a company based in Gouvia, with a branch office in Pirgi. The company has been operating for over 34 years, and they offer pickup and drop off of their vehicles at the airport, at the major ports of the island, as well as at many other locations around Corfu. Their fleet includes a variety of city cars, family cars, jeeps, and minivans.